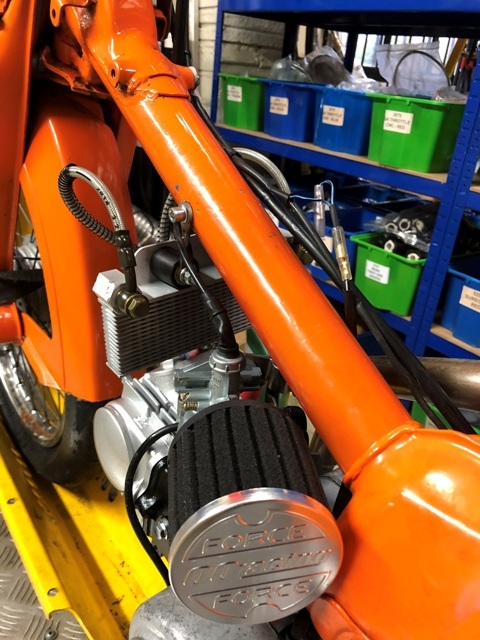 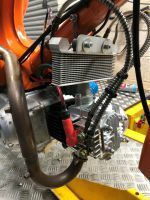 This cooler is ideal for the plop enduro, we really recommend you run a cooler if you are tuned or standard, doesn’t necessary reduce the overall temp of your engine but allows the oil to say in its safety range, stopping it getting past the rings and being burned off. 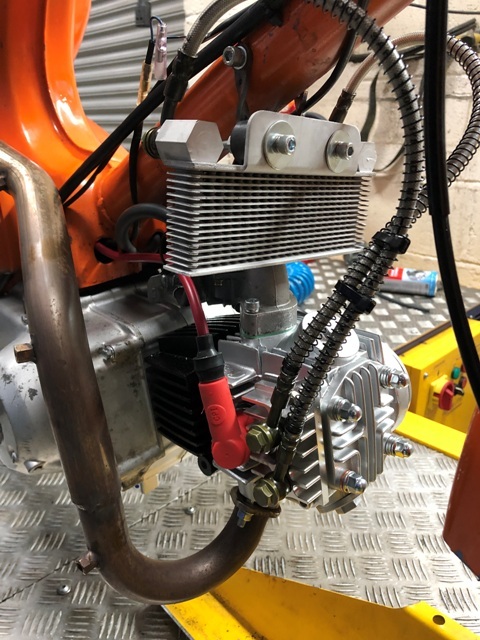 This is a compact kit with a good flow, needs mounting upright so the hoses are at the top, this ensures the cooler is always full on start up..
We have made this kit up so the cooler itself is rubber mounted and can put up with the vibrations and will take a bit of a knock without it failing. 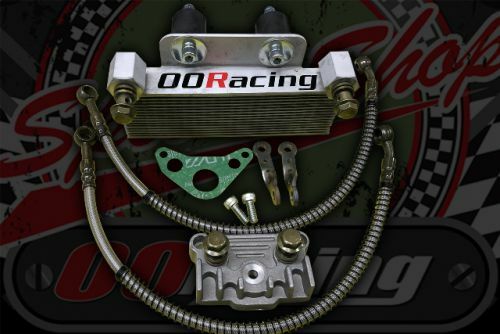 In the photo its been mounted directly to the frame, but can be mounted with in the range of the hoses will allow. It’s shocking how hot the cooler get even with a 20 minute dyno run..